Singing All The Way Home. We are very glad to have been able to indulge ourselves with the BBC Four repeat of the very wonderful Singing Detective by Dennis Potter last night. As you may have guessed we are great Potter fans and this is a particular favourite. 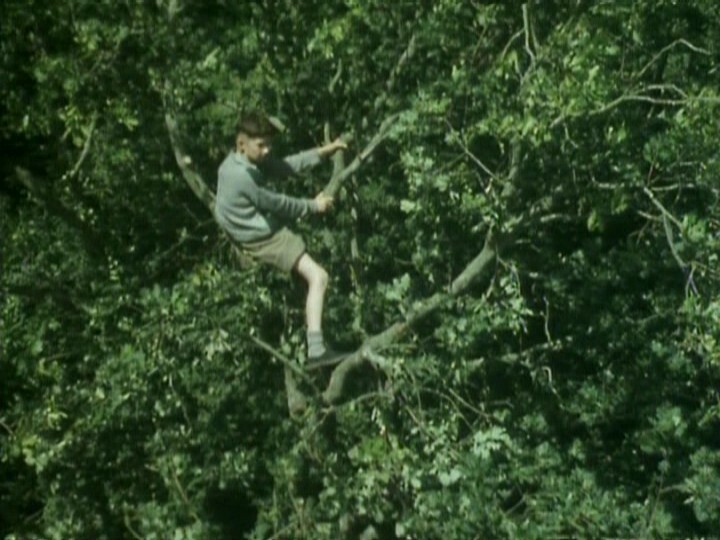 I grew up in the Forest of Dean and was in the the sixth form at Whitecross School whilst the scenes in the Forest were being filmed, it was all wonderfully exciting and amazingly cosmopolitan to a group of teenagers desperate to escape what we saw as the restrictions of our hum-drum existence. A friend was employed as a runner on set and came back every day full of tales about what had happened as we sat at his feet devouring his every word. For me it cemented a desire to study in London, little did I know 25 years later I would be planning to return to the Forest! For any other Potter fans the Dean Heritage Centre is asking for six volunteers to help with the newly acquired Dennis Potter Archive, to help catalogue, repackage and digitise the archive. A good opportunity to work with material that is important not only locally in the Forest but nationally as an important repository of the work of an important television dramatist. For all of you unfamiliar with the work I urge you to catch up on BBC iplayer ready for the second episode on the 9th of February, popcorn optional. Minute by minute we make the world.